Within the modern Middle East, there are two non-Arab regional leaders. Iran continues to play a major role in the Syrian Civil War, has a population of roughly 75 million, and is 99% Muslim. Turkey also plays a major role in the Syrian Civil War, has a population of roughly 75 million and is 99% Muslim. Unfortunately, the more you read about the Middle East, the more you learn that such generalized simplifications can be just as misleading as they are meant to be informative; Turkey and Iran couldn’t be further from the same. Iran has garnered significant attention over its nuclear controversy and the succession of President Ahmadinejad with Hassan Rouhani. Turkey, on the other hand, has largely been on the backburner of mainstream media coverage in comparison. At present Turkey is finding itself stuck in the middle of many issues, globally, regionally and domestically. An insight into these issues will give a better understanding of where Turkey stands and the complexities they will face as the situations develop. Turkey’s decision to opt for a $3.4 billion missile defense system from a Chinese weapons firm over American and European alternatives alarmed the US and the rest of NATO (Turkey has been a member of NATO for over 60 years). The deal has not been signed yet and Turkey insists it is not a political move, but it’s hard to ignore the crossroads Turkey has placed itself squarely in between its traditional Western allies and a rising power in the east. The possible deal itself isn’t as significant as the symbolic and independent move to act outside of NATO’s interests. On the Iranian nuclear issue, Turkey adamantly opposes an Iran with nuclear weapons, but it doesn’t want to contradict itself and limit future options in building its own nuclear power infrastructure by condemning all Iranian nuclear pursuits. Turkey wants to be able to work with Russia, Iran and China while simultaneously maintaining its strong relationships with the US and NATO. Regionally, specifically regarding the Syrian issue, Turkey has tried to walk a tightrope between aiding the opposition and avoiding becoming directly involved in the fighting. Turkish citizens have been killed by border skirmishes, and Turkey has shot down a Syrian helicopter that strayed too far into into Turkish territory. Recently, Turkey extended a motion allowing it to send troops to Syria if needed, although this caused significant controversy between the ruling and opposition political parties in Ankara. Turkey has been crucial in humanitarian initiatives but has faced difficulties in controlling the border. Turkey has the right to defend its borders, but it doesn’t want to incite further violence by lending too much support to the opposition or becoming directly involved. All in all, there’s no easy route for Turkey to take in the Syrian conflict, and thus it should keep its options open while addressing the humanitarian crisis as much as possible. Internally, protests have persisted since the Gezi Park demonstrations in late May over discontent with the ruling Justice and Development (AKP) government led by Prime Minister Recep Tayyip Erdogan who has been in power since 2003. Turkey is officially secular and has no state religion, and Erdogan has found himself in the precarious position of trying to initiate reforms that have fallen far short of expectations. Erdogan and the AKP have been rightfully criticized for their repression of the freedom of assembly and controlling the media, and the concessions they have given in response have been minimal. Protests have continued and are likely to continue so long as police repression persists. Erdogan may not be immune to negotiations, but the accusations of growing authoritarianism are hard to ignore. The results of the Balyoz “Sledgehammer” and Ergenekon coup trials, in which top ranking military leaders were convicted of plotting to overthrow the government further highlights the internal conflict within Turkey. Modern Turkish history is rife with military coups, and the recent trials, as controversial as they have been, serves to show that such an era may be over. If Erdogan and the AKP wish to remain as the legitimate leaders of Turkey, they need to find the balance between prosecuting those who threaten to undermine the state and attacking perceived political opponents.That balance is incredibly difficult, but listening to the masses and conceding faults would be a solid starting point. 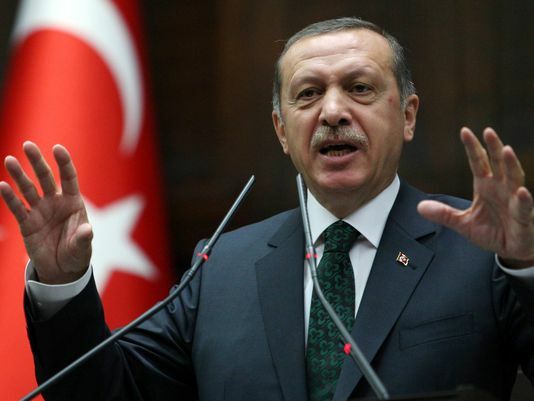 Turkey independently has own prerogatives and its own problems. The rest of the world also needs to find a balance when dealing with Turkey. A middle ground should be pursued to constructively criticize Turkey for its shortcomings and offering to work with them against regional threats. If this can be successfully achieved, Turkey may be influenced to move towards more democratic reforms and be a powerful partner in resolving conflict in the region. A Minnesota girl peacin' out in Peru. Analysis and commentary on current events. Copyright © 2013 Ramy Srour.